FREE STANDARD SHIPPING within the Contiguous USA! Today's Coupons - Expire in 11 hours. The Pro Slim GOLD is a slightly slimmer cup design for those shooters looking for a lower profile muff in comparison to the ProEars ProMag models. The ProSlim by Pro Ears is 7/10 thinner and lighter than the Pro Ears ProMag and for it size, has a very high NRR (noise reduction rating) of 28 dB. The New Pro Ears Gold Pro-Slim comes with a low profile, mid-range cup that is perfect for most firearms including handguns, rifles, shotguns as well as moderate to high noise levels. 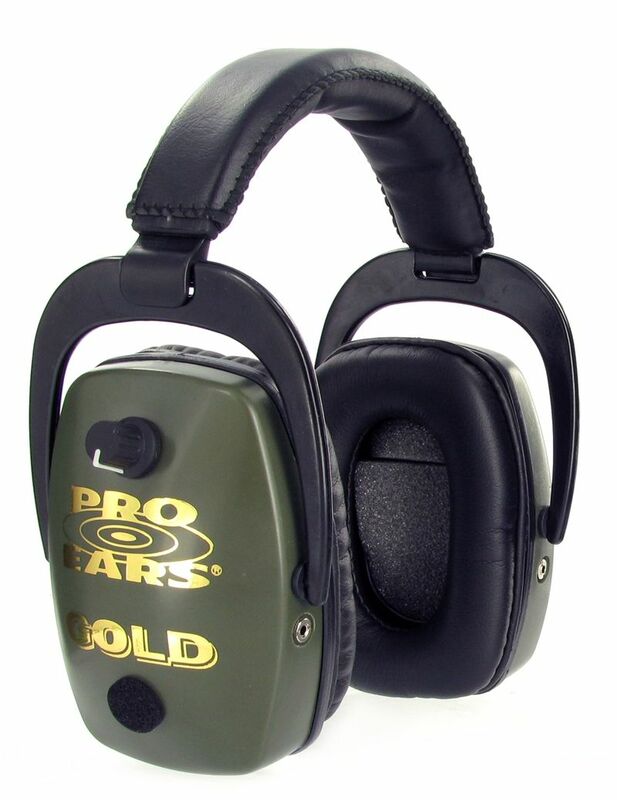 These electronic hearing protection is an excellent choice for the avid pistol shooter and competitor as well as exposure to moderate to high noise levels. Slim-cup design makes this muff a great choice for the outdoor handgun and/or the rifle shooter. All PRO-EARS models carry a full 5-year warranty on the electronics, the longest in the industry. The closest competitor offers a 1-year warranty. If there is a problem in the electronics it will usually show up in the first 3 months. Just call the manufacturer for an RMA number (return merchandise authorization) and they will repair / replace the defective board. Once the Pro Ears engineering department receives the electronic hearing protection, it is repaired and shipped back to you within 2 to 3 days. Usually, they ship the same day it is received. Why Pro Ears Electronic Hearing Protection?